Awhile back I did a tutorial on creating a letterhead template with Microsoft Word. I think I started it well before there were online document services like Google Docs. Naturally, the question arose on how to create a template using Google Docs. Funny thing is it wasn’t as straightforward as I thought. 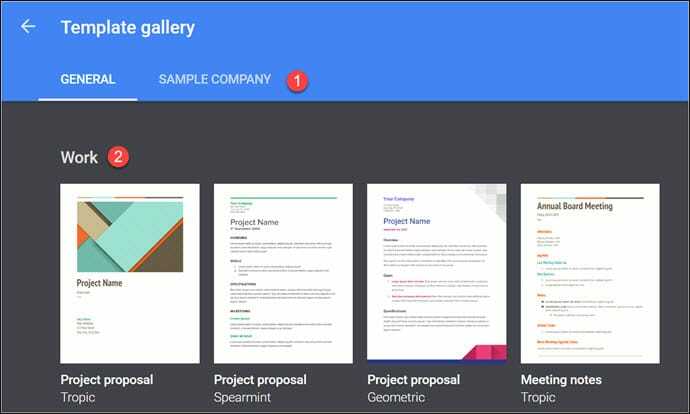 Templates are handled differently in the free version versus the G Suite one. But, there is a workaround. 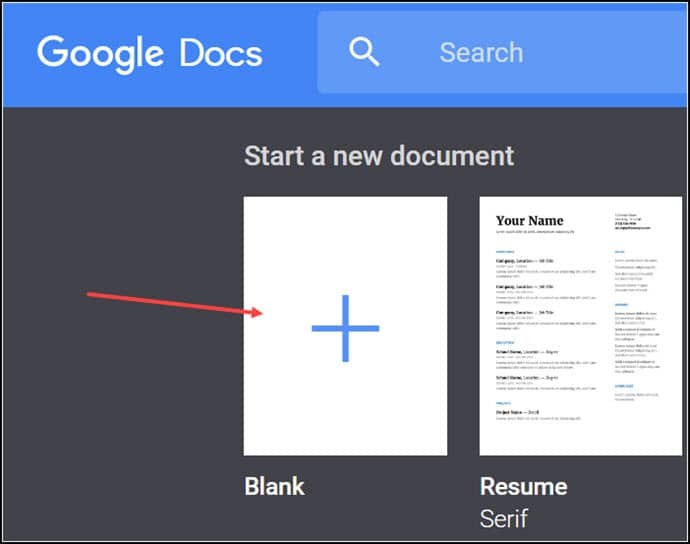 Make no mistake, Google Docs is a great product, but you can’t save a document as a template. 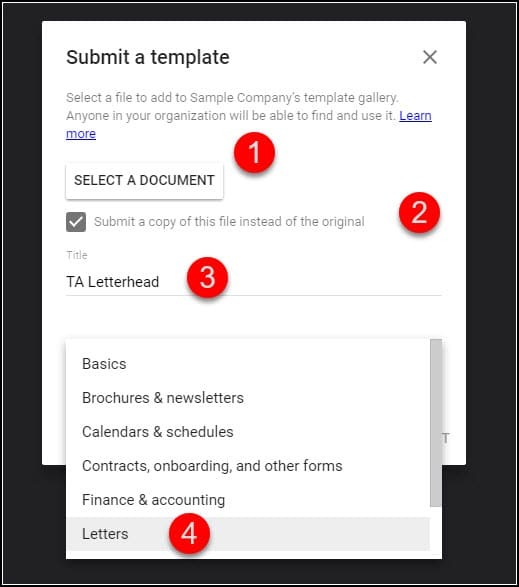 You can submit one of your docs to your Template Gallery if you have a G Suite account. When you log into the paid version, your Template Gallery looks like the one below. (2) is your template grouping. 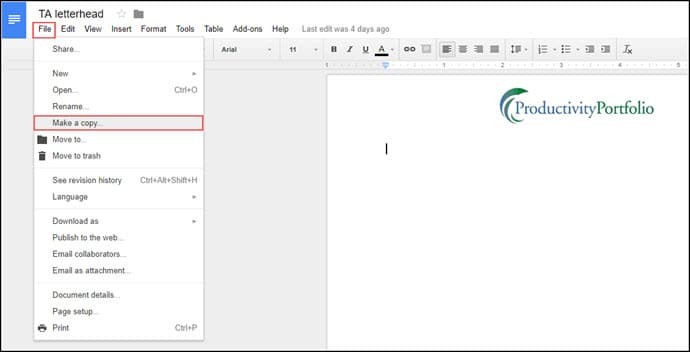 In contrast, the free Google Docs account just provides a way to see public templates. With the free version, any template you submit will be public so you probably don’t want to submit your letterhead. I’ll get to the workaround in a bit. What Do You Need on Your Letterhead? Before you begin, you might want to see if there is a template in the Template Gallery that is close to what you want. If so, you could use that template as your starting point. Alternatively, you could open an existing Microsoft Word template and work from there. I had no issues opening mine. There were several quirks that I experienced in trying to do some simple templates. 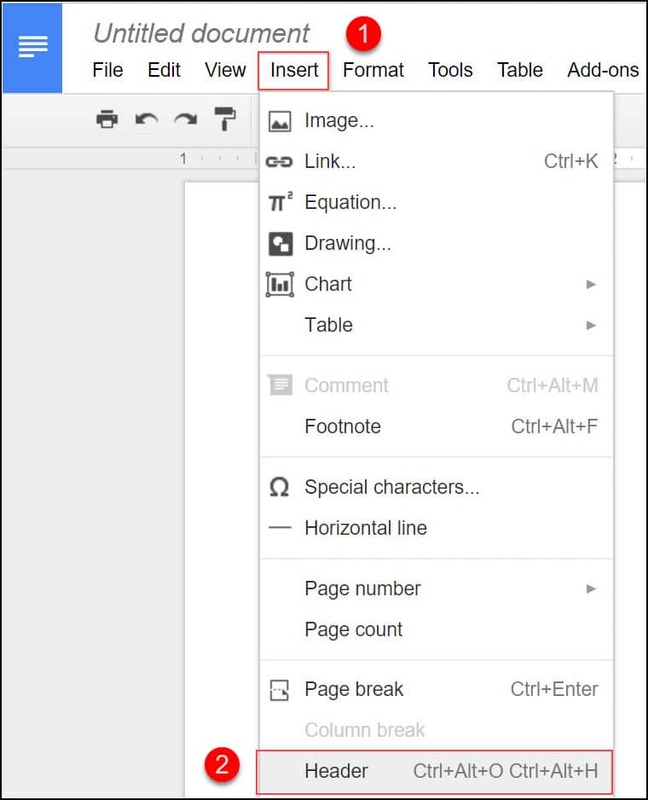 For example, Google Docs only allows equal sized columns. This means if you wanted a layout with your contact info on the left, you would need to use a 2-column table. You can adjust table column widths to suit your design. 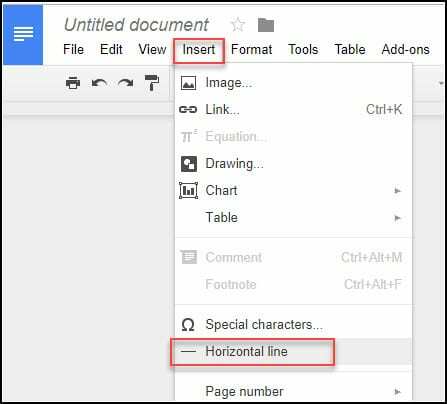 Inserting a horizontal line is easy, but it is restricted by your margins. If you want a full-width line, you’ll need to set your left and right margins to 0. You’ll probably need to add a 3 column table to emulate your left and right margins. If you need to adjust your margins, I found it easier to do it first. You can access the Page setup… setting from the File menu. For this example, I’ll add my web logo to the header area. Click the blue + for the Blank template. You should be staring at a blank page. From the Insert menu, select Header. If you don’t see the Header menu item, you may have zoomed your page display. Try pressing Ctrl + 0 to reset. Yes, that is a zero. You should now see a thin horizontal line and a check box about the different first-page header. The line is just a visual marker. In this example, I’m going to add this site’s logo. 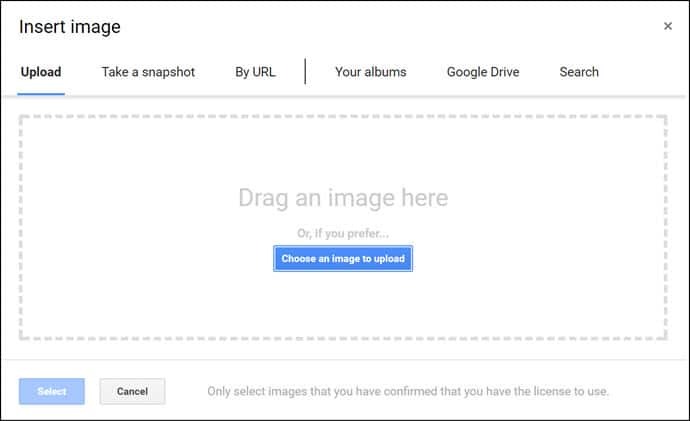 Google Docs has several different ways to add a JPEG, PNG or GIF images. Presently, SVGs are not allowed. From the Insert menu, select Image. The image will appear in the header area with sizing handles around it. Your image may also appear larger than its true size because of the document display properties. Tip: Google Docs doesn’t allow you to size an image by pixel dimensions (e.g. 260 x 90). If you need this functionality, there is a Chrome Add-on called SetImageSize. Resize the image if necessary. If you wish to change the image alignment, you can use the toolbar alignment options. Add any other elements you need. Creating a footer area is very similar to the header. From the Insert menu, select Footer. From the Insert menu, select Horizontal line. The line will respect your page settings. Add in your address information. At this point, I have an Untitled document with my logo in the header (1), horizontal line (2) and address (3) info in the footer. The last step is to rename Untitled document to something more meaningful. You can either use File | Rename or type in the text box. For my example, I used TA Letterhead. If you used the File command, you’ll see there is no option for Save As and a submenu. However, there is an option called Make a copy. Essentially, you keep making copies of this source file each time you need to use it. So while this document won’t be in your Template Gallery, you can use it in the same manner. The difference is with the G Suite or paid plan. Here, you can submit a document as a template by clicking your company’s gallery tab that is next to the GENERAL tab. When you click SUBMIT TEMPLATE, you’ll get a dialog that allows you to select a file and enter information. 1. 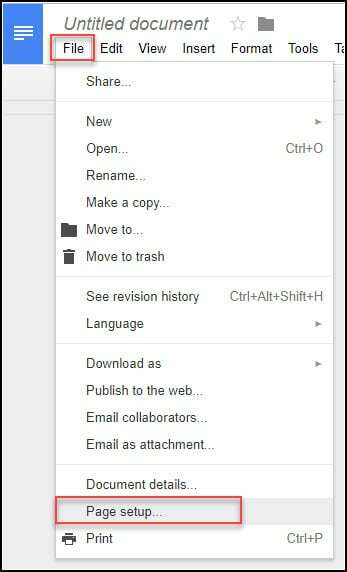 This button allows you to open a file from your Google Drive. There is one caveat and that is you can’t use shared documents from people outside your organization as templates. 2. This check box simply uses a copy of the file from Item 1. 3. You can name the template. 4. You can select a predefined category. After you’ve entered in the template info, you can click Submit. The template will now show in your company gallery. Creating templates can be very efficient. 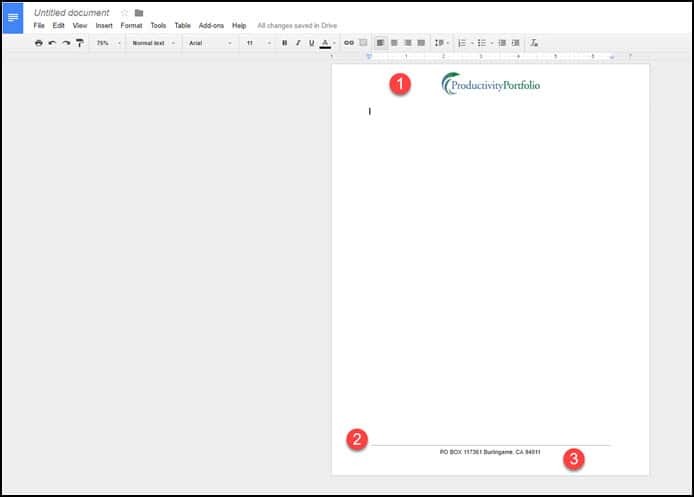 Although this Google Docs tutorial used a simple letterhead example, you can use the same principles and make more sophisticated ones. The key is finding something that you plan on using regularly.